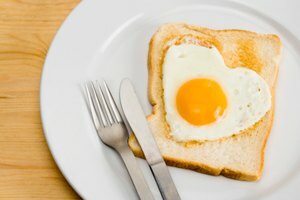 One of the truest tests of a home cook’s skills is preparing a simple egg for breakfast. Whether it’s fried, scrambled, poached or hard-boiled, the common egg is often cooked the wrong way ‒ whether it’s over too high heat, for too long, or without enough care taken to achieve the correct texture. One of the trickiest egg preparations to get just right is a fried egg over medium. Here’s how to fry an egg that’s perfectly golden on the outside and slightly runny in the center every time. Why Fried Eggs Over Medium? Well-liked for its golden-brown exterior and flavor, a fried egg can be enjoyed by itself or on top of burgers, hashes and even salads. Adding one is an easy, low-calorie way to add both protein and flavor to a wide variety of dishes. A fried egg over medium has only 78 calories, making these beauties both flavorful and filling if you’re trying to count calories. 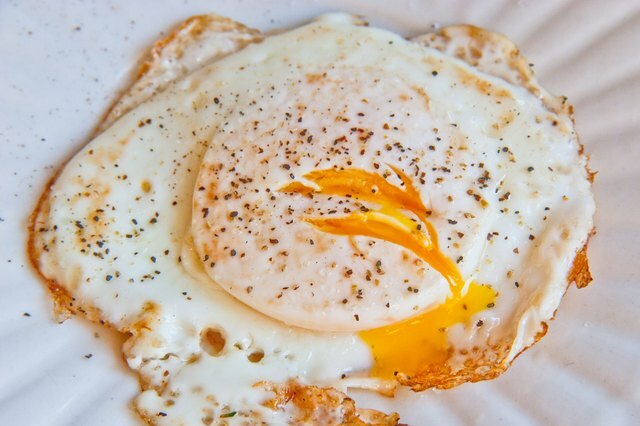 A fried egg over medium is also packed with 5 grams of protein, which helps you stay fueled for the day. The end result you’re looking for when cooking a fried egg over medium is a crispy golden-brown exterior on both sides, with a yolk center that’s set but still just slightly runny. That means the heat level and the time the egg spends in the hot pan will make or break your success. Making perfect eggs requires cooking them low and slow ‒ meaning over low heat for a longer period of time. Sure, if you cranked that burner up to high, it would take mere seconds to get the egg cooked, but it would be nearly impossible to control the amount of doneness you’re trying to achieve. The egg producers behind the “Incredible Egg” campaign suggest heating the pan on high and immediately turning the heat to low once the eggs are in the pan. “If the heat is too high, eggs will become tough and rubbery,” the Incredible Egg site warns. 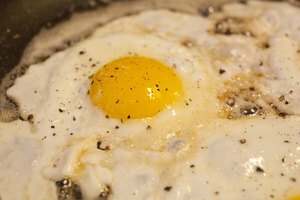 Butter or Oil for Frying Eggs? Frying anything requires fat, and eggs are no different. Traditionally, you would use a couple of tablespoons of butter per egg for frying. The butter adds nice flavor and a golden color to the finished egg. But other cooks, most notably celebrity chef Jose Andres, swear by the technique of frying eggs to a crispy golden brown in a pool of olive oil. 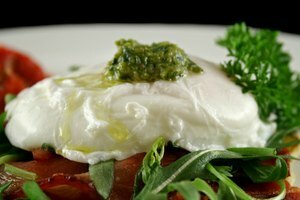 He serves his Olive Oil Fried Egg at many of his restaurants, and, as he told the New York Times, he developed the idea after trying to find the perfect way to fry and egg: “[my] whole life.” It’s hard to argue with that level of expert research. No matter which fat you choose for frying your egg, remember to have enough oil in the pan to surround the egg and brown it to perfection. Andres says he uses 4 tablespoons of olive oil to fry one egg. This isn’t the time to be stingy with the fat. Fresh eggs are best for frying. If you’re not sure about the freshness of the eggs in your fridge, you can tell if they’re still good to eat by doing a quick float test. 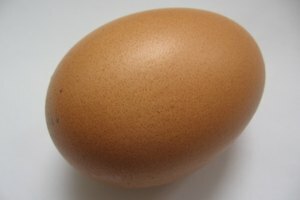 As they sit in the refrigerator, eggs tend to evaporate in the cold dry air through their shells. As a result, eggs that float in a cup of water have more air, which means they have evaporated more than those that sink to the bottom. Sinkers have less air, meaning less evaporation has had time to take place, resulting in fresher eggs. 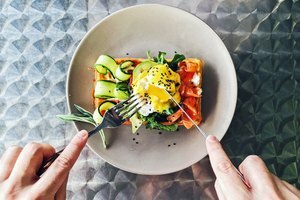 Where and how you store the eggs also matters, according to Epicurious, which performed one of the definitive deep dives into egg freshness. This step can be as informal or fussy as you please, depending on the desired result. If you’re making a rustic meal, cracking several eggs in a pan is a no-muss time-saver. But to make perfectly proportioned eggs for stacking on top of a burger or sandwich, consider first cracking the egg in a small bowl or ramekin and then gently easing the egg into the hot fat. You may also want to tilt the pan, allowing the fat to collect to one side and then easing the egg into a pool of fat, which will help it set and brown more quickly and evenly. Sunny side up: Fried on one side until the edges are crisp, but the yolk remains runny. Over easy: Fried on both sides until the whites are set, but the center yolk is still runny. Over medium: The egg is fried on both sides until the yolk is set, but still slightly runny. The center yolk should look golden. Over hard: Fried on both sides until both the whites and yolk are cooked through. Frying an egg over medium means it’s fried on both sides, without the yolk cooked totally all the way through. The best way to achieve this is by watching your egg as it fries. This is where cooking on heat so low you can easily control it comes in handy. Watch the egg; when it’s still slightly more “jiggly” than you want, pull it off the heat. Remember: The egg will continue to cook for a bit once it’s off the heat, so timing is everything. Follow these steps to cook the perfect fried egg and learn to be a “yolk master” in no time. No sweat and just a little fat required. Becky Bracken is a lifestyle, parenting and real estate journalist who has written for outlets including Realtor, Babble, SheKnows, CafeMom, Complex and more.